An attractive pair of marble topped bedside cabinets; featuring black, white and green colours in the marble, a single drawer, open space, and single cupboard below. These cabinets date from the 1930s, and are in lovely condition for their age. They have small brass circular handles, and spring loaded drawer catches. They are completed with a step design foot which is typical of this era. 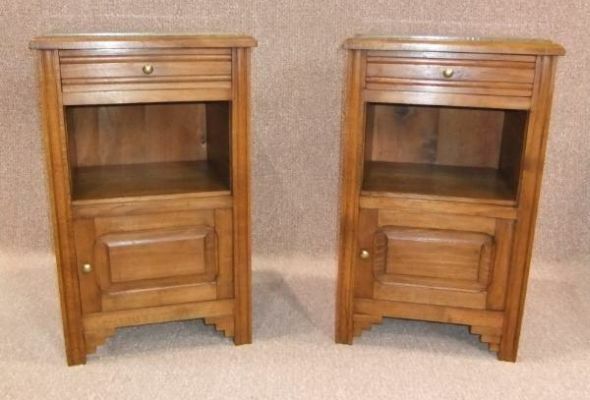 These art deco bedside cabinets are the perfect accompaniment to any period bedroom setting.